The weekend of July 8th - 10th I attended the 2011 ConnectiCon for the first time. Taking place in Hartford, CT at the Connecticut Convention Center which is connected to the Hartford Marriott, the hotel of choice for the majority of attendees. If you were unable to drive or get a ride to Connecticut, getting there was a pretty easy coming from NY. A bus trip, which was pretty cheap round trip from NY to CT, or 2 trains and a cab would have gotten you there about 2-3hrs. Surprisingly on the convention message boards you could connect with other attendees and look for rides going to the convention, as well as see who is looking for roommates at the various hotels. Of course you're not rooming for free, you would be splitting the cost of the hotel with the person(s). Of course like anyone else I was worried about what kind of person I would be rooming with, if I would have a bed or be sleeping on the floor with multiple people, etc. I happen to luck out the week before and found someone who needed a roommate to split the cost with and I would get my own bed too. I exchanged emails and phone numbers with said roommate and talked to him prior to meeting him at the Marriott discussing everything and of course asking questions. He sounded pretty cool, and when we met at hotel I found my roommate to be very gracious and chill. We hardly saw each other through out the con or even in our hotel room except for the last day. I'm sure like me he made sure his stuff was secure, and counted his pocket change, but for the most part he was a very cool and trust worthy person. I would recommend the roommates section of the message boards but make sure to actually talk to the person you are rooming with to get an idea of how they are. Yes people can surprise you, but at least you will have enough to go on to really decide on whether you want to room with this person. But of course it is also up to that person with the room to decide if they want to room with you as well. While there were many places to eat outside the hotel, once nightfall hit there wasn't anything open unless it was a club. The hotel had a bar that sold food and was ok price wise for a bar and great food as well. You could also order pizza delivery, but for those that were looking for something cheap and for one or 2 people there was a pizzeria that opened til 2 am the entire weekend. It took me a while to find, considering I don't know the area. The neighborhood while desolate, was pretty cool, but always better to travel with someone. The pizzeria was about a 5 min walk from the convention, price wise it was about average unless you went with the stuffed pizza which ran you $5 bucks, taste wise it was pretty good pizza but nothing beats Brooklyn. If you ever get a hotel with a fridge or can get a fridge for your hotel room, do it and stock up. Saves you a lot money wise which you can now spend on anything in the dealers room. After dropping my stuff off I made my way to registration to pick up my badge. Once you actually walk into the convention it is very nice, and just great size wise. Since the hotel and the convention are connected there was a nice outdoor area in between them where a lot of cosplayers would gather either to just relax on the stairs or to do group photos. My first photos of the con were of 2 wonderful and beautiful sisters, cosplayers Brittany & April cosplaying as Nero from DMC 4 and Godzilla. The sky was overcast while we were shooting and later rained, but luckily I was staying at the Marriott so I did not have to go through the rain to get to my room. Screenings and the rave were also held on the 3rd floor of the hotel, and the best part was that screenings went on 24/7 up until the last day of the con. So if you were a nite owl or just bored after the fact then you could pick a room and veg out watching some anime or live action asian cinema. Once I picked up my badge, I was supposed to interview 2 of the guest that were in attendance, but because I couldn't get to the con earlier I had missed my times. But the staff was very friendly about and it we were able to reschedule everything for Saturday. The best part of that whole convention was the staff, they were nothing but friendly, knowledgeable, and always willing to help out. My first stop was the dealers room, which was also where the video gaming, the miniature gaming, sword fight tournament, and food court were. You would probably think that was a cramped space, but it was like the TARDIS, bigger on the inside. Plenty of room to walk around there and through out the convention. While the convention itself was a multi-genre convention, the dealers room felt more anime than anything. I did find some comic related dealers, but they were outnumbered by anime dealers. The gaming area had a nice variety of consoles and LAN gaming available, but they did require you to check your bags in. Stairs and escalators were available to take you up to the next 2 floors. The second floor had a nice little food spot and balcony, so it was a nice break if you needed to find a place to relax from the con, or you could have sat on the stairs which were carpeted and kinda comfortable as well. The top floor is where you had the main events such as cosplay chess and the masquerade, as well as artist alley, various panels. As you walked around the top floor, you were able to find many places to sit down and relax, as well as plug in and charge your phone or any other devices instead of having to go back to your hotel room. They also made nice waiting areas as you waited for a panel or main event to take place. One panel I just couldn't miss was the Doctor Who panel “TARDISes, Jelly Babies, and you” presented by Remie DeWitt and T.M. Chiba. It touched on the past episodes before the new season, talk about some of the clues that we as fans might have missed out on or what might certain things mean for the future of The Doctor. The panel was basically a room full of Dr. Who cosplayers and cosplays and a few people like me in civilian clothes. It was a great fun panel, that of course had spoilers for those that did not see those past episodes, as well as talked about certain characters or monsters that are now or have reappeared in the seasons of the 9th, 10th, and 11th Doctor's seasons. 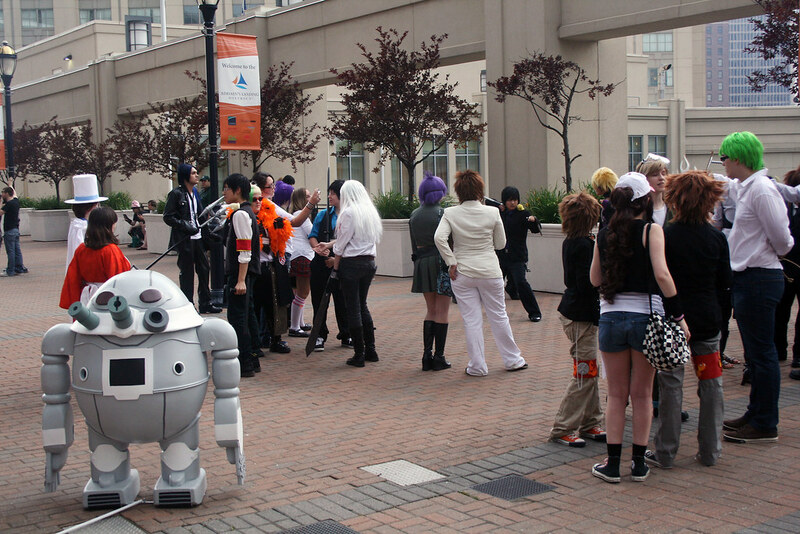 ConnectiCon's panels came in a wide variety of not just topics relating to all things geek, but also personal issues such as: “How to talk to guys, girls, or whatever”, “Creepers: How to avoid them and not become one”, and “Post Con Depression: coping skills”. Panels such as these offered con goers something that they may not have been aware of, or even how to deal with certain issues they may be facing in their personal life they may or may not be aware of. Other panels offered something more on a physical level such as: “The Parkour panel and meet up”, “Fencing Demonstration with Medieval Sword”, “Juggling 101, “Intro Balloon Twisting”, and “Belly Dance Workshops” which has been increasing in popularity at cons. I usually prefer the first the of a con to be kinda nice and easy going. Just because it allows one to take in the environment, especially if its your first time. Meaning getting to know the area in terms of knowing where to go for certain events, etc. As a photographer it allows me to pick out certain locations for shoots, but really knowing where to go and how to get there really helps in making things easier. But at the same time come Saturday that's a whole different animal all together. The second day was the most jam packed day for me, plus the sun was out and just a beautiful day in general. First on the agenda was the big Doctor Who photo shoot taking place out on the promenade of the convention. Those that attended the first Doctor Who panel were all invited to come out and show off their love for the Doctor. There 10th's, 11th's, and even some really old school Doctors. We had a TARDIS, TARDIS dress, weeping Angel, companions galore, and of course the Master and his ballot. An amazing turnout by all involved and of course some great cosplays. Also taking place during that shoot, up the stairs was a large group of Soul Eater Cosplayers holding their own group shoot which I was lucky enough to catch. The costumes ranged from a lot of some of the main characters to the more rare characters that very few cosplayers have done. And of course right after that another huge group cosplay group shoot. This time consisting of almost everyone who was available at that moment, and believe me it was a lot of characters involved. Ranging from comic books, video games, anime, and even some movies it was more of a ConnectiCon class photo, which made it all the more cooler. And because it was that kind of day there was one last group shoot that took place inside the convention consisting of various Resident Evil characters. Again can't say how great these groups were, everyone involved did an amazing job with their cosplays. The voice actors that were on hand for the convention were doing panels all weekend long. Whether it was in individual or group panels, there were plenty of chances to meet and Q&A with them. Voice actors such as: Chris Smith(Tenchi Muyo:GXP, DC vs Mortal Kombat), Jon St. John(Duke Nukem, Twisted Metal 4), Rachel Robinson(American Dad, Final Fantasy XIII), and Cristina Vee(Luminous Arc 2, Magical Girl Lyrical Nanoha). I had the chance to sit down with voice Actor Chris Smith and do an interview with him. He is one of the nicest people you will meet, and to talk with someone who has voiced 2 of the most iconic characters in Anime, Tenchi Muyo, and in Comic Books, Superman(DC vs Mortal Kombat) was such an amazing experience. 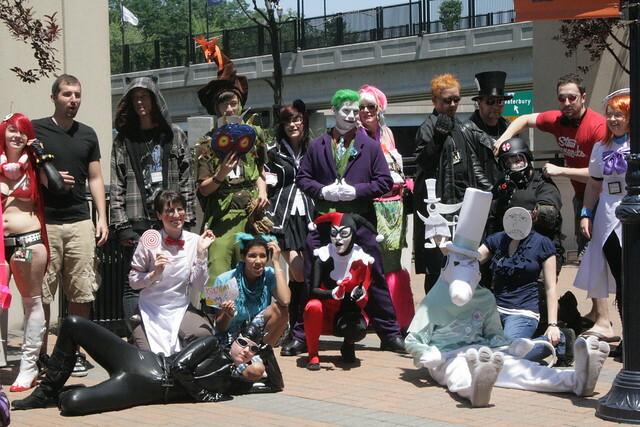 Later on that night, I attended ConnectiCon's Cosplay Masquerade. It was one of the more fun masquerade's I've been to. They did not have a special speaker, what they did have was the masquerade staff cosplaying as Star Trek and Star Wars characters and of course 1 Doctor. The skits performed by the staff between each performance was just incredibly funny. Did not want those skits to end, especially when Captain Kirk tries to paint Princess Leia green because we all know how much Capt. Kirk loves he green women. The main story behind the skits was that there was an impending invasion on our planet and the Star Trek and Stars Wars crew came into our dimension to save us. So while they were finding ways to save us and save their relationships, we were entertained by the various cosplay masquerades. There were some very entertaining and very well done masquerades, even from the youngest entry into the masquerade that I have ever seen. But the stand out performance of that entire night was done by one Katelynn Yvon. Taking the stage by herself and performing her poem “I am a nerd” stood in front of a crowd of over 100 baring her soul to everyone of what it means to be a nerd. Not just the knowledge, but the criticism and ridicule that comes with it. Her poem spoke to the crown and ended it with a standing ovation and not a dry eye in the house. The masquerade ended with the revelation that the invaders were just a bunch of cosplayers looking to party and of course win an award for nothing. Our heroes gave them an award and saved the night I guess. Awards were also given out for the FMV's immediately after and the winners in each category truly deserved to win. While most days usually end right after the Cosplay Masquerade, my night continued with a trip to the only pizzeria open past 8pm and didn't close til 2am. Not NY pizza but it was still good. My second stop was a short one, the rave in the ballroom of the hotel. Great music, awesome crowd, it was definitely a good time. I cut my time short because my interest was more geared towards the panel rooms. Some of my anime friends(Kadishu & Mei Hoshi), talked about this one anime, HOTD: HighSchool of the Dead, about doing a cosplay related project that it stuck in my head and I figured since I was up why not go check out. Previously playing was the movie “Robogeisha”, a live action movie about 2 sisters who get turned into one robot geisha assassin. It was definitely a campy movie, but at times fun to watch. Now HOTD was very cool action packed, and very fan serviced pack zombie anime. Like most zombie movies, it starts outta no where. A random zombie happens upon the school and infects one teacher, and that teacher infects others and so on until there are more zombies than students. The main protagonist, a group of students and a teacher, each come with their own teenage baggage. Whether its being the nerd, being a social outcast, not being feminine enough, or being in love with the girl of your best friend each character embodies what high school life was/is for some of us. If you can get past the fan service, the story is incredible and very well done. They only played the first 6 episodes, but it was enough to get me hooked and go see the rest online. While that was my only screening for the entire con, from Friday until the last hour of Sunday you could watch Anime or Japanese live action movies all day and all night if you wanted. 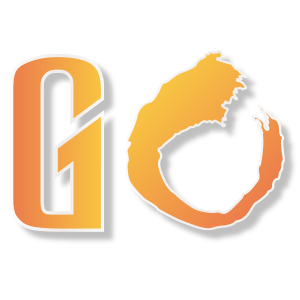 So for insomniacs, or even a date night(considering that all movie theaters were only within driving distance) you always had something to do at ConnectiCon day or night. My last day of ConnectiCon began and ended with Cosplay Chess. The staff was nice enough to let me in while they were doing the prep work for the chess game. I was able to observe and of course take pictures of a few cosplayers going over their fights and their death scenes. It didn't tell give away everything, so I was still surprised and entertained by the entire show. The host of cosplay chess was the voice of Duke Nukem, Jon St. John. Very funny host, and it was just great to hear him quote some of his very famous Duke Nukem lines during the show. The combatants for this event were Spock and The Master, two great characters with very incredible intellects that use them opposite of each others morale compass. I'm also sure fans always wanted to know who would win in a battle of wits between these 2 characters, and what better way to see than chess. As the match began, it started out a lot of back and forth between the two. 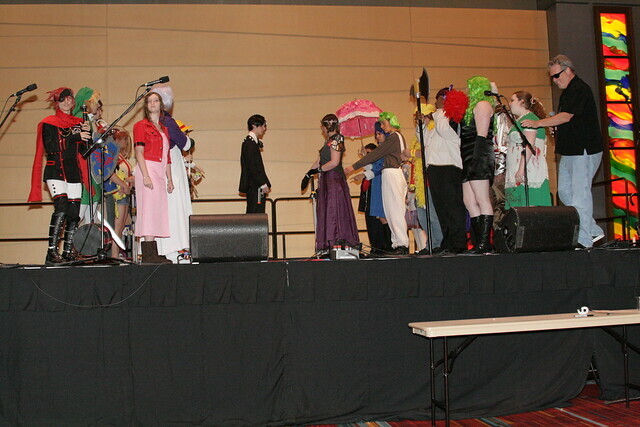 Each cosplayer performed well on stage and really entertained the crowd. Spock began to gain the upper hand and was on the verge of victory, but The Master of course decided it was about time to end his farce of fair play and sonic-ed his Queen allowing her to move about the board and kill off any remaining pieces. But in true Spock fashion all it took was a Vulcan neck pinch to end the conflict. Afterwards Jon St. John was kind enough to sign autographs, and take pictures with fans. ConnectiCon was an absolute blast. It ran smoothly, amazingly helpful staff, lots to do, and just more fun and relaxing than anything. ConnectiCon is definitely on my list of yearly cons to attend and I look forward to next year.